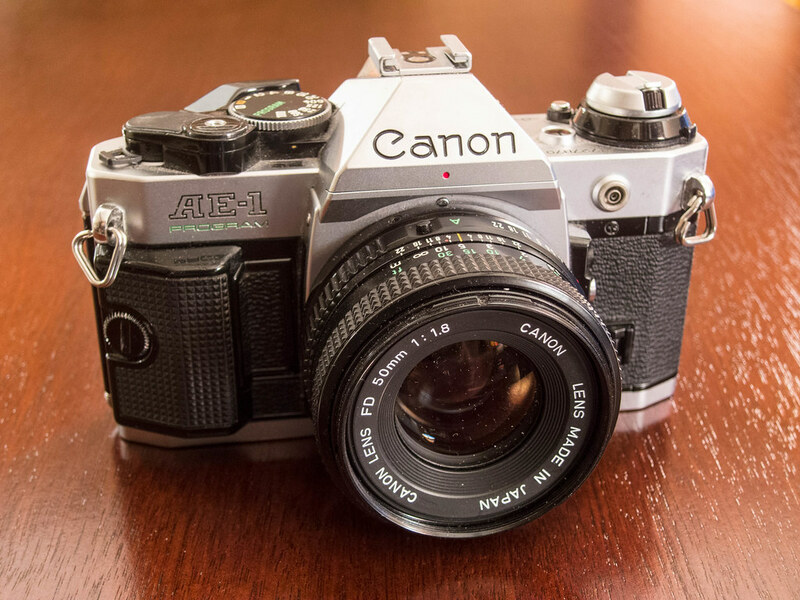 Who doesn’t like the Canon AE-1 Program? It’s universally praised, and with good reason. It’s a capable tool with good features. A photographer could make great images with it indefinitely. I mounted my 50mm f/1.8 Canon FD lens and loaded up some Agfa Vista 200, which I shot at EI 100. This is the lens I commonly use on this camera, as I did a few years ago on a photo walk Downtown when I had some Arista Premium 400 inside. 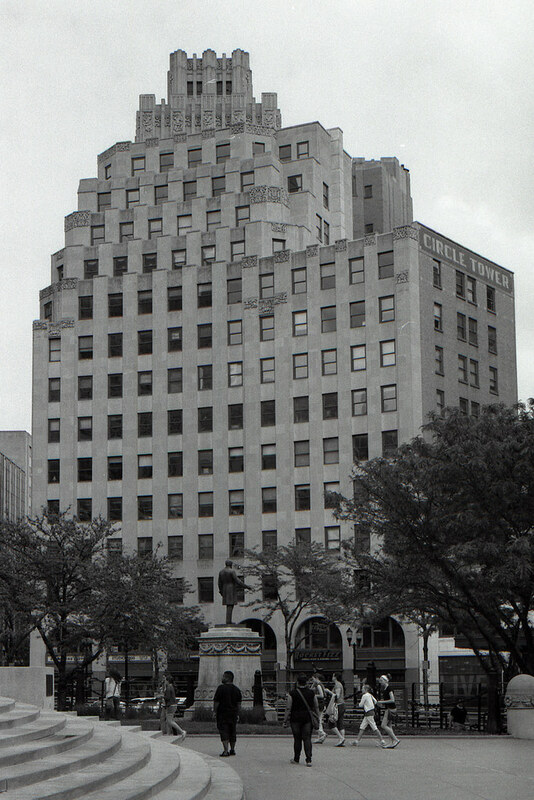 That’s Circle Tower, a gorgeous building in the Art Deco style. Old buildings, old cars, and old roads — these are the things I photograph most. 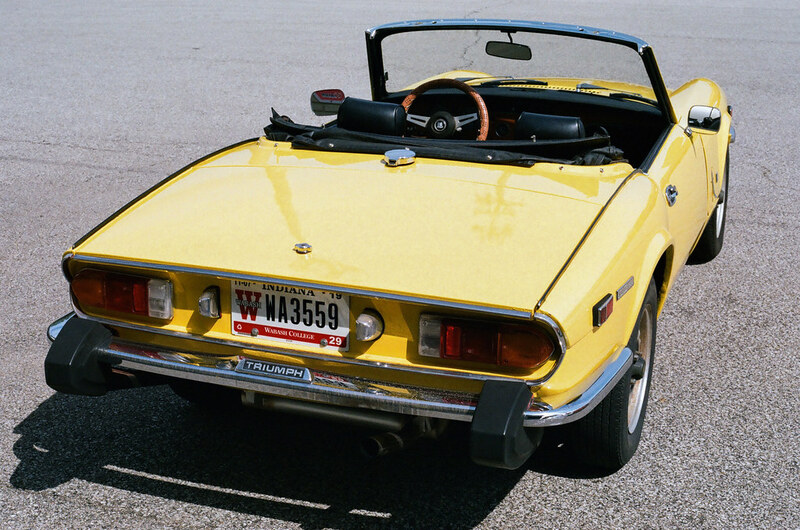 No old roads in this post, however, as I took the AE-1 Program to a “cars and coffee” gathering and shot two rolls there. It’s all old cars up in this joint for the rest of this post. I think my favorite car of the day was this late-70s Firebird because it was in rough, original condition. 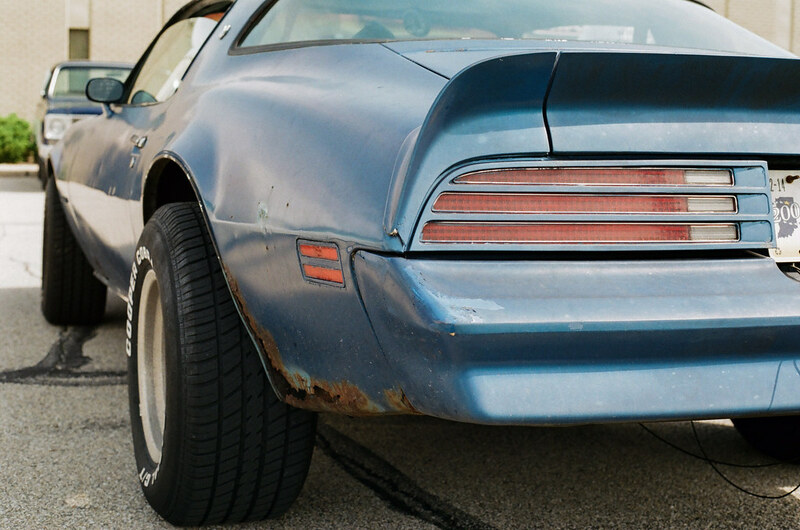 This is what all ’70s Firebirds looked like in the mid ’80s when I was in high school: rusty and rough. The school parking lot was full of them. This parking lot had just this one. The AE-1 handled perfectly, as expected. Mine has developed that annoying squealing shutter that is common to this camera. But it doesn’t affect function, and it got quieter and quieter as I kept shooting. 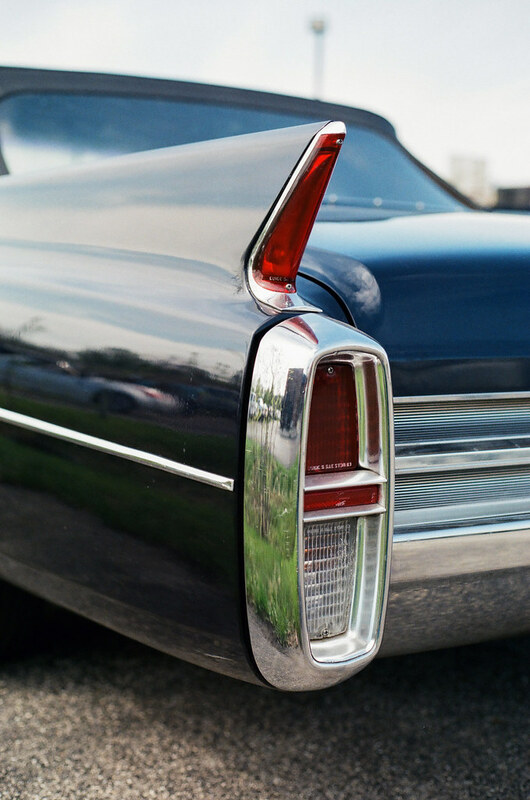 This Cadillac’s delightful tail was the first photo I made at the event. The shutter howled. 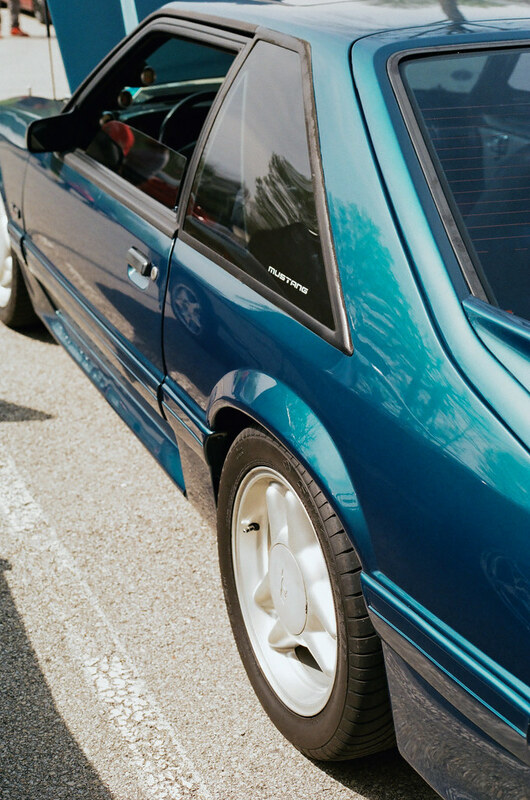 Color and light play make car shows a wonderful place to test gear, especially on color film. 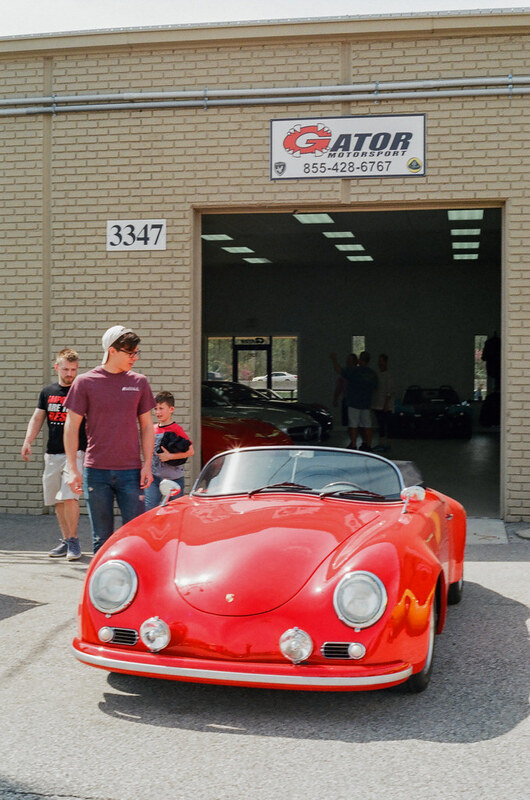 This Porsche Speedster was mobile during the event. I saw it in two or three different places, including coming out of the host’s garage. People from all walks of life came to show and see the cars. Our shared interest created opportunity to talk to people we might not normally interact with. I bumped into one other fellow shooting film, someone whose clothes marked him as being in a much higher economic class than me. When he heard my AE-1 squeal, he whirled around and said, “I know that sound!” He then showed me the Canon T60 SLR he had picked up in the used section at our local camera store. We chatted for several minutes about the relative merits of Canon film gear. What I concluded with that fellow is this: every Canon SLR I’ve ever shot has been competent enough, and the lenses are technically excellent. But the cameras never spark joy when they’re in my hands, and the images I get never give me “wow!” moments. In contrast I’ve swooned, and hard, over Nikon and Pentax SLRs and the images I’ve received from them. 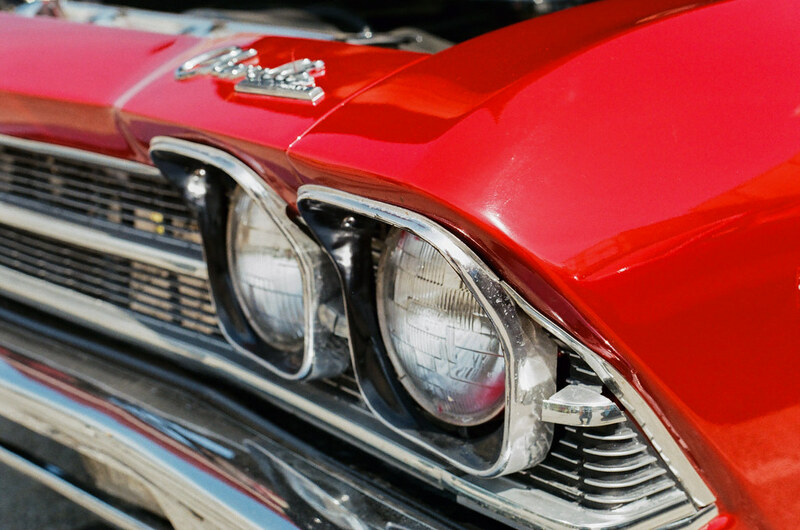 I enjoyed my car-show morning with the AE-1. I got good results. But as I reviewed the photos, I felt certain that I would have gotten better color from the delightful 50mm f/2 lens I keep for my Pentax bodies. I know that my little Pentax ME would have felt better in my hands. This, really, is what Operation Thin the Herd is all about. Now that I have built skill as a photographer and have experienced so much gear as a collector, which gear hits that sweet spot of feeling great in my hands and returning images that delight me? That’s the gear I want to keep. Yet the AE-1 Program handled everything I threw at it this sunny Saturday morning. I can’t really complain. 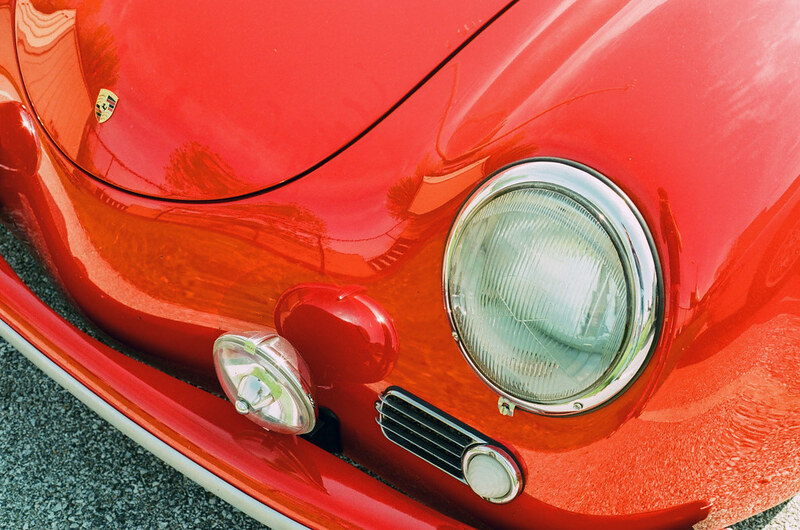 If you’d like to see more photos from this camera, check out my Canon AE-1 Program gallery. My heart beats for Pentax and my mind pines for Nikon. I own plenty of their gear, enough to keep me busy and happy for the rest of my life. Because my Canon gear just doesn’t grab me in the same way, because I’m unlikely to use it very often, I should probably let it go. Perhaps I’ll keep one body, maybe my mechanical TLb, and a couple of my older lenses. Perhaps not; this isn’t the day to decide. But this is the day to decide about the AE-1 Program, and I know it’s time to let it go. I have a Canon F1 and A1 and both are wonderful cameras but I don’t like using it as much as I like using my NikonF3 and FE2. For me, Nikon bodies just feels right when I hold it and it gives me a more enjoyable shooting. experience. For me, it’s the Canon lenses. They render things just too clinically clean for me. The Nikon and especially the Pentax lenses have character. The camera is just a lightbox, equipped with a lens mount, shutter, film management system,, and viewfinding system. By logic the brand of the body cannot affect the image outcome. But I think it does. I don’t know why that is, other than particular objects can be tied to the emotional nervous system, which affects how one experiences the external world. And that will determine what the “photographic” aspect of the mind sees and wants to record and how. Have you thought about the association between film and camera? I think some cameras do better with color than with B/W, and vice versa. Logically that is total nonsense of course, since I have but one small collection of lenses that I use on several bodies by the same manufacturer. Oh yes! There are cameras I shoot nothing but b/w in, and cameras that I shoot nothing but color in. I think it’s about the lens’s properties. The AE-1 didn’t do it for me either. I sold mine after one roll and now I have noticed that they have achieved somewhat of a cult status among new film shooters. I bought one a few years ago after getting nostalgic for film. Took a few rolls on some hikes with my daughter…one which I apparently didn’t load correctly after years not using one! The rolls are still sitting in my desk drawer, guess I should get them developed. Definitely not as easy as it used to be. Maybe when I do it will give me the boost I need to continue using it. Hope your photos turn out when you get them processed! I had the same issue with Canon. Had the A-1, AV-1 and AE-1 Program. When I decided to reduce my camera collection, the AV-1 and AE-1P were the first to go, as it seemed pointless owning them when the A-1 had the same features + more. Now, a couple of months later, I’ve just sold my A-1. Loved using it, but when I get my Nikon FM and FG-20 cameras, it stopped being my go-to camera. I just didn’t want to pick it up anymore! I find shooting with the Nikons way more pleasant. How a camera feels in use really does matter! And the reasons can be so intangible. There’s nothing wrong with the AE-1; I just find my Pentax ME (for example) to be so much more right. Hard to imagine any other camera would have done a better job on that Cadillac tail fin. A noisy shutter, however, would be a big obstacle to overcome. 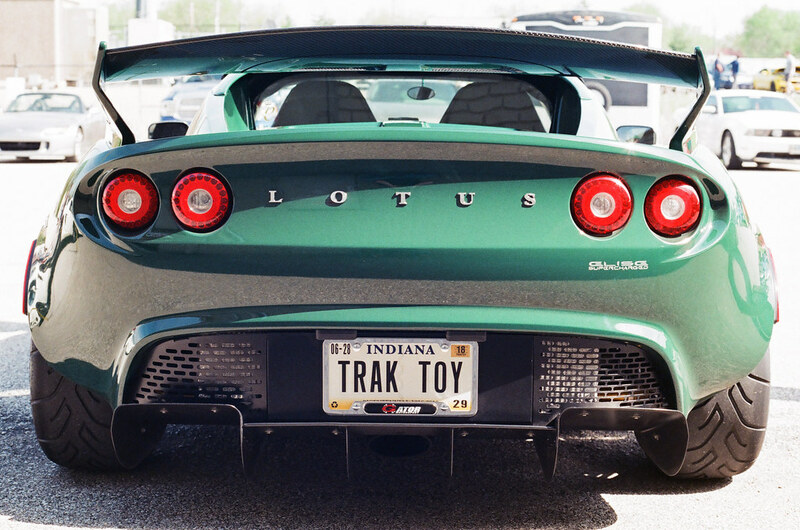 That tailfin photo is my favorite from the roll. Here’s a fellow who shows how to fix the AE-1’s shutter squeal with — get this — a squirt of WD-40. I’m not brave enough to try it — I find WD-40 squirts very difficult to control, and I’m sure the camera would need only a tiny amount. The video does share the squeal sound this shutter can make. Great images Jim, nice to see a couple of Brits in there. For me it’s Olympus that hit’s the spot, I like the lenses, and handling of the OM’s. I love my OM-1! I need to shoot it soon. Nice post, Jim – great pics too. It’s funny how one camera can feel so right to one person and to another “like a brick”. 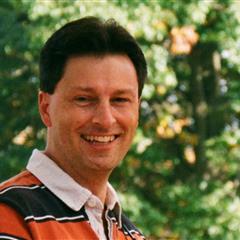 I miss my AE-1 and AE-1 Program. Exciting cameras to me. My favorite Canon is my F-1 and although I still shoot with my A-1 from time to time it’s far from my favorite 35mm SLR. I do like almost all of the FD lenses – I haven’t run across a bad one yet. I believe the squeal you hear is actually from the mirror vice shutter. Over time the lubricant dries out or evaporates. It’s a simple fix – a little drop of oil on the end of a toothpick in the right place usually does the trick (as does frequent use). Did you see the video above of the guy who fixed his with WD-40? Hilarious! Jim you expressed my feelings exactly, not just about the AE-1 and Canon SLRs, but all Canons I’ve used. They technically very competent but there’s no excitement, no chemistry, no joy. Sometimes I love this, like in a Volkswagen, it’s their relentless efficiency that makes me love them. But in a camera you want to be inspired and excited every time you pick it up. This hasn’t happened with any Canon camera. Good choice to sell and stick with Pentax and Nikon. I will say, now that I’ve owned a VW for a few months, that occasionally their relentless efficiency tends toward overengineering, which can be frustrating! Like the window switches in my Passat. It’s nice to have the windows all go fully down at a touch, but if I want to just crack one it’s harder to do that than it needs to be. Jim, I’m sure the Passat’s windows are like my Seat’s and my wife’s VW Touran – tap the button once then let go for the windows to go all the way down, but if you want them down just part way, you do the same tap, then flick the switch the other way when/where you want the window to stop. It becomes second nature very quickly, I really had to think about what you meant at first! I don’t want to overhype the Contax, but you know how many film cameras I had, and there are just two SLRs remaining – Asahi Spotmatic F and Contax 139Q. The last SLR to go was a Pentax Super Program, probably as good as any SLR in Pentax K mount. But I wanted the Contax more. 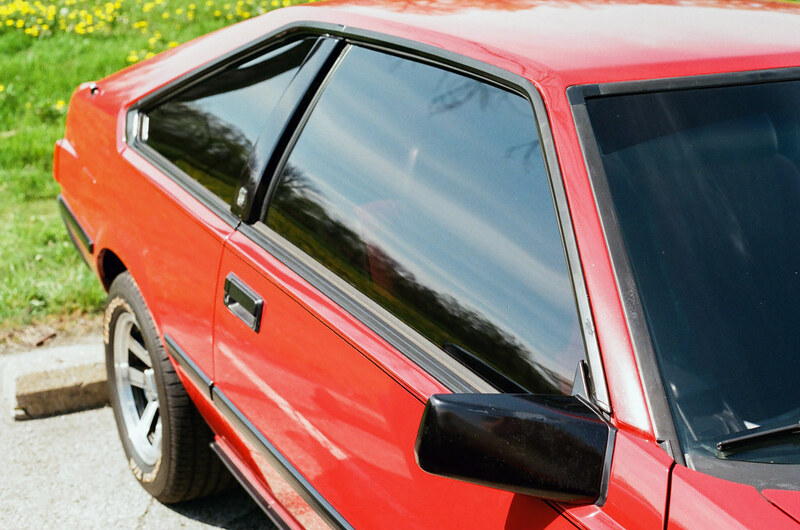 Most American cars’ window switches have two down positions, one after the other. The first moves the window while you press it and the second moves the window all the way down. You can easily bypass the first setting by just mashing the button all the way. This is so strongly set in me that I’m struggling a little to adapt to the VW’s way! This reminds me I had a Honda CRX where the switch was mounted horizontally so it went forward and back, not up and down like in VWs. Took me forever to remember that forward meant windows up, and back meant windows down. Funny how when something goes against our logic it’s so hard to embrace! It’s not that I dislike this camera — it’s fine, though I agree that shutter priority isn’t great. It’s just that I love so many other cameras in my collection that one I merely don’t dislike just can’t clear the bar! I think you get to coin a new word for whatever it is a trebuchet does upon launch! I do really like the close-up shots you got with this camera of the older cars. Thank you! Cars are probably my most favorite thing to shoot. Canon’s A-series cameras are somewhat vanilla. Innovative in their day, but difficult to get excited about in 2018. The FD lenses render neutrally, which was a good thing in the 70s when we wanted an accurate depiction of the scene, but now people tend to like quirkier glass. I find double Gauss Japanese multicoated lenses of the era impossible to tell apart in a blind test. This is useful historical context. Even though I was alive when this camera was new, I wasn’t paying any attention to the SLR world then! A day late, oh well. I happen to have been given a AE-1 Program but have yet to try it out after 4 years. The thing is I was never interested in Canon for some reason back in the days. My early days were focused on Miranda and Minolta as they were affordable. Nikons were the dream in the sky due to cost of assembling an outfit. Meanwhile Pentax wasn’t on my radar. However, my office camera display has been helpful in that regard in that I have had four Pentax SLRs donated to me. What is interesting, given all the Canon AE-1 versions out there only one of them has been donated to me. It seems the average Joe was more fond of Pentax than Canon. Isn’t it funny what “takes” with us and what doesn’t? BTW I have a Miranda Sensorex II and like it a lot. It’s got a fussy shutter or I’d shoot it a lot more. I don’t dislike it – I just love my Nikons and Pentaxes! Isn’t it great how there are so many cameras to choose from? Everybody can find the one that suits them. Yes that’s why I like collecting just to try as many as I can. Fantastic images! The AE1-Program was my go-to canera for decades. Buddy of mine was an editor/photographer for a newspaper for many years and used one of these in his work. They were (are) simply capable workhorses! Yes, the Nikons are solidly built for sure. My mechanical Canons are, too, but the ones with electronics all feel fragile somehow.